Ira K. Miller & Associates is here to provide the residents of Brooklyn, NY with its Estate Planning legal services. Life brings challenges to every family, some anticipated some not. The peace of mind that comes from estate planning is a great gift to your family. Who will make medical decisions for me if I am unable to? Who will care for my minor children if both parents pass away? Where will my property go after my death? How can I reduce my estate tax? Who will care for my pets when I pass away? How will I pay for medical expenses when I get older? How can I leave property and assets to my loved ones? Estate planning is not just for retired individuals, it is for everyone. Every person has an estate and therefore everyone should have an estate plan. Your estate is comprised of everything which you own; cars, real estate, bank accounts, etc. If there is no Estate Plan in place, the laws of New York will decide who your property will go to at your death. These default laws may not follow your wishes and desires. Click here to learn more. What are some basic Estate Planning documents? A Last Will & Testament details how your property shall be distributed when you pass away. Your Last Will and Testament allows you to provide for your loved ones in the event of your death. If a Last Will & Testament has not been created, your property will pass through intestacy and follow the default laws of New York State. These laws may not follow your intentions. More important than your property, your Last Will & Testament allows you to tell the Court who you wish to take care of your children, should you and your partner pass away in some unforeseen incident. Your failure to list a Guardian will mean the Court will determine who will care for your children, should you pass away. With over thirty-three years of experience, let Ira K. Miller & Associates create a Last Will & Testament specifically tailored to your wishes and desires. A Durable Power of Attorney is a very powerful document that allows a person to step into your shoes and make financial decisions for you, even in the event of your incapacity. This document is immensely useful in many ways. If a Power of Attorney has not been created, a Guardianship Proceeding may be needed to manage your financial affairs if you become incapacitated. The Power of Attorney can also be used by your agent to help reduce estate tax and be used for Medicaid Planning. What is a Health Care Proxy and Living Will? A Health Care Proxy is a document that grants powers to an agent selected by you to make medical decisions in the event you are unable to. The Health Care Proxy will only take effect if you cannot make your own decisions. It is of the utmost importance that you discuss your beliefs with your proxy so she or he knows what your wishes are. To assist your proxy we often execute a Living Will which describes in detail the medical care and life-sustaining treatments you would like. This is of the utmost importance if you wish to be removed from life sustaining machines, if there is no hope of recovery. 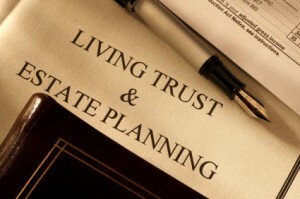 A Trust is an extremely flexible instrument which can accomplish a variety of estate planning objectives. A Trust can be used to avoid probate, reduce the size of your estate for estate tax purposes, shelter assets from creditors, and provide for the management of assets. For more information about different types of trusts, please Contact us. The majority of Americans die without an estate plan either due to reluctance in contemplating their own death or believing they do not have an “estate” that needs to be distributed and that the law will take care of things in a satisfactory manner. Do not let New York’s default laws make assumptions on your desires. You should take affirmative steps to making sure that your wishes are known, followed, and the people you love are cared for and provided for. Proper Estate Planning will eliminate uncertainty over administration of your estate and maximize the value of your estate by reducing taxes and other expenses. With the above documents, you will be well covered for all of life’s challenges. Contact Ira K. Miller & Associates for an Estate Planning consultation. Should you be interested in Estate Planning, we offer packages starting at $799.